Industrial infrastructure and construction projects are energizing the Okanagan outlook. A quick glance at the latest edition of the province’s major projects inventory indicates that the Thompson Okanagan region hosts 110 major projects – those worth $15 million or more – with an aggregate value of $22.8 billion. 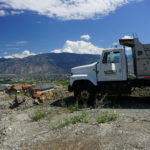 The correctional centre at the Osoyoos Indian Band Development Corp.’s Senkulmen Enterprise Park in Oliver, hospital expansions from Kamloops to Penticton, and expansions at Okanagan College are all recent and ongoing projects. 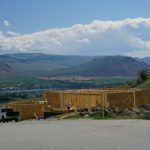 In Osoyoos, many housing developments continue to move forward, including the Residences at Spirit Ridge, Richter Properties, and Lakeshore Drive Development. The economy boasts robust construction sector as well as numerous winery, agriculture and tourism-based businesses. The construction and manufacturing sectors are the most important and growing private sector segments.